Organic Raw Cacao Orange Vegan Protein Bars. 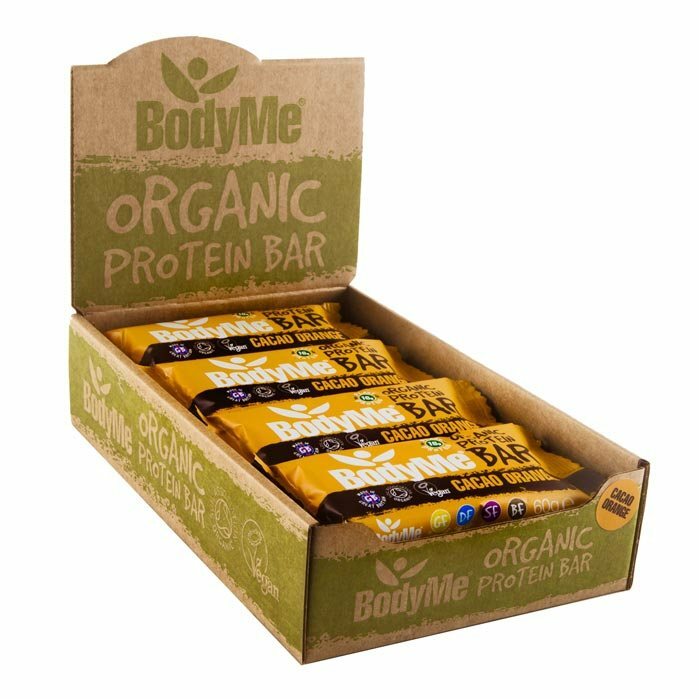 Feel fuller for longer or help build and maintain muscle with piece of mind with the world’s best organic vegan protein bars from BodyMe. AWARD WINNING, SUPER DIGESTIBLE, ORGANIC and COLD-PRESSED containing three of the best plant-based proteins, including pea protein, raw sprouted brown rice protein and raw hemp seed protein providing a perfect and complete vegan protein bar with all nine essential amino acids and more! Perfect on-the-go, pre-post workout, as a mid-morning / afternoon snack orjust simply with a cuppa. 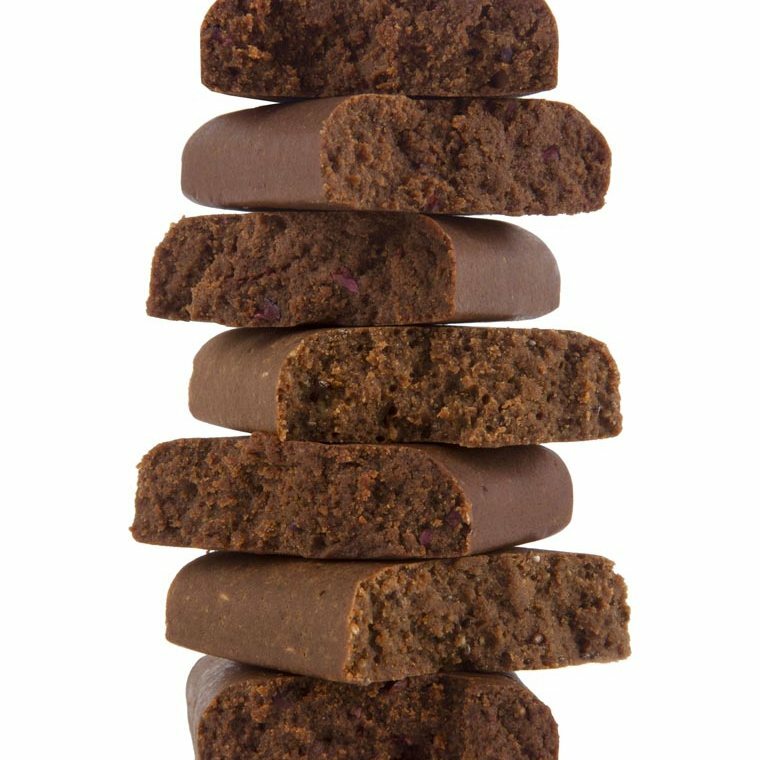 Our bars are made in GREAT BRITAIN, use only CLEAN ingredients and provide 16g complete plant protein. BodyMe organic vegan protein bars are processed raw and are never baked, keeping the nutrients happy and intact, providing a real and nutritious snack bar or food bar. 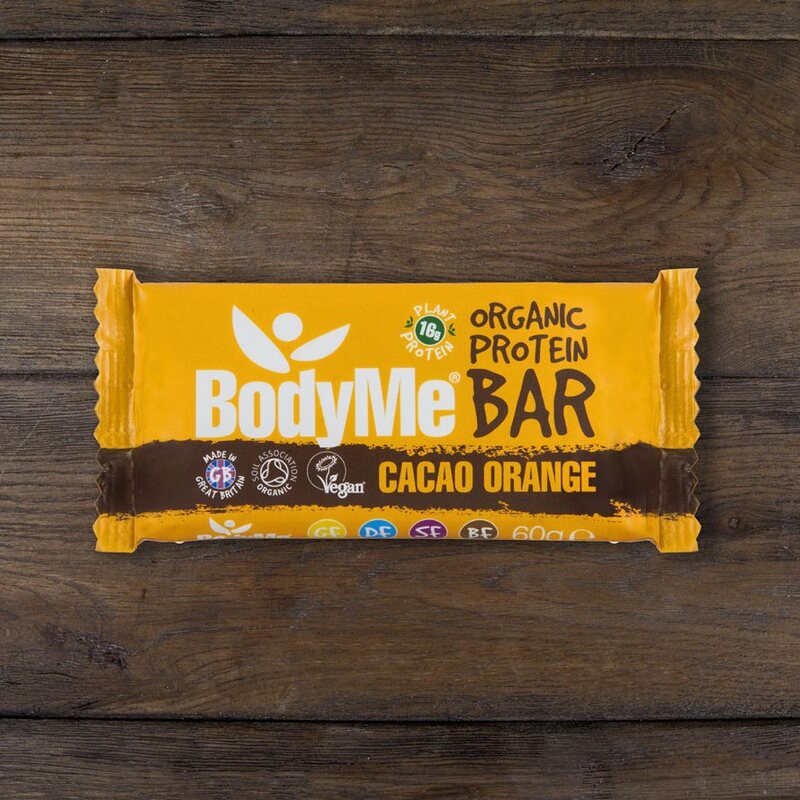 The bars are gluten-free, soy-free, and dairy-free, with added superfoods and are available in three tasty flavours – CACAO ORANGE, CACAO MINT and CHIA VANILLA. Nutrient-packed and truly powered by nature. Awarded Highly Commended at the Good Choice Quality Food Awards 2016, Silver at the Janey Loves Platinum Awards 2016 and Finalist for Best New Organic Food Product at the Natural and Organic Product Awards 2016. Vegan Society and Soil Association certified….. and 10% of our net profits are donated to charity. Keeping it ETHICAL ALL THE WAY! The builder - contain over 26% of complete plant protein helping us to maintain or grow muscle. The diet satisfier - help to feel fuller for longer, good for satiety. The energiser - contain vitamins B1, B3 and B6, magnesium, phosphorus and iron which help keep a normal metabolism and reduces tiredness and fatigue. The health keeper - source of good fats which are good for normal heart function and maintaining normal cholesterol levels. 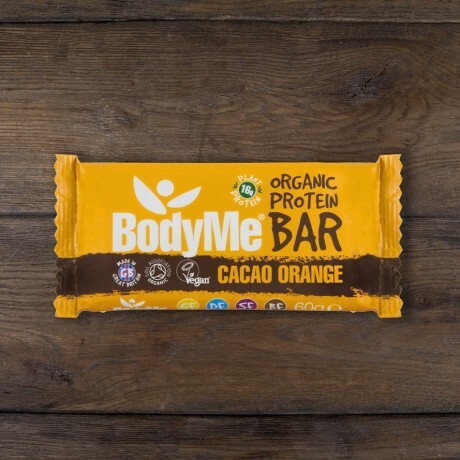 The protector - the zinc in these Bodyme bars helps protect cells from oxidative stress and along with it's friends - vitamin B6 and iron, helps keep our immune intact. Available as a box of 12 protein bars (each bar is 60g). Organic Cacao Orange Vegan Protein Bars have a 6 month best before (no added nasty preservatives). Store in fridge to enjoy at best or cool dry dark place. Contains cashew nuts and may contain traces of other nuts. So happy to find a great, healthy mint flavoured snack bar that tastes soooooo gd! Never stop making these!